The innovative Concrete Brick Lamp aims to make the user more aware of the actual moment the light turns on and off. Designed by the HCWD studio, the LED lamp has no switch, shade or wires, using an intuitive system to activate the light. 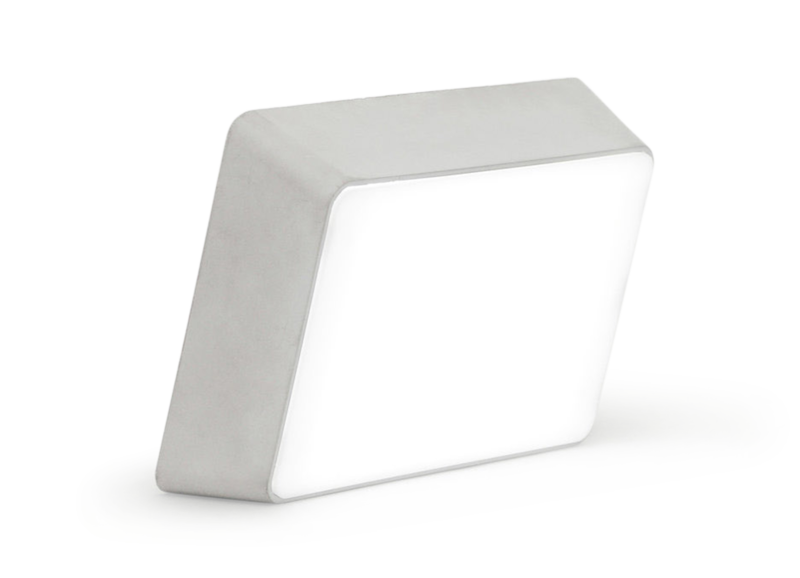 The LED switches on when the lamp is raised in a sitting position on either side and turns off when the brick is placed faced down on the table. Completely portable and designed to stand stable on any side, the Concrete Brick Lamp provides an ingenious lighting solution in a playful, interactive design. The concrete exterior is made from a blend of cement and fine sand, features a super smooth finish and a light gray color. This elegant lamp is also available in a dark gray tone or in a wood version. Gessato is an authorized retailer of Hyfen products. We purchase all of our Hyfen products directly from the company in order to bring you genuine items that represent the best in contemporary design. Every Hyfen product in the Gessato shop is authentic, comes with official brand packaging, manufacturer’s warranty (where applicable), and is sold with Hyfen's authorization.